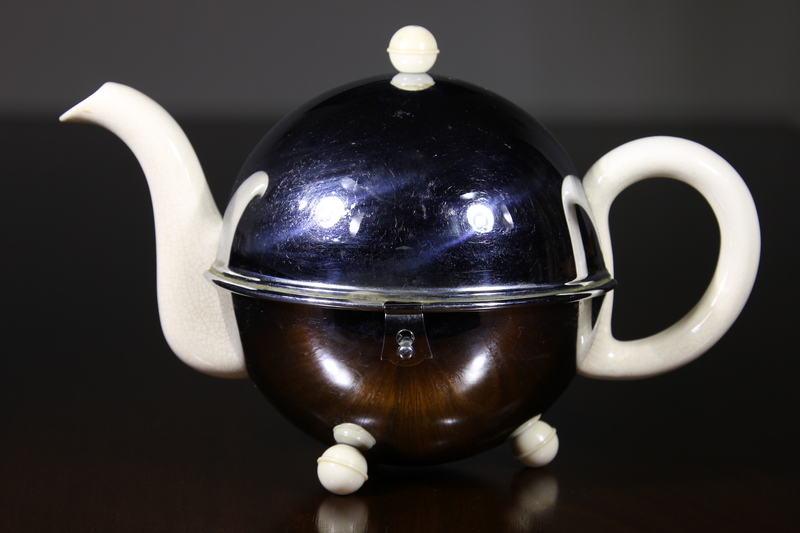 You are looking at a classic art deco teapot from the 1930’s and manufactured in England. 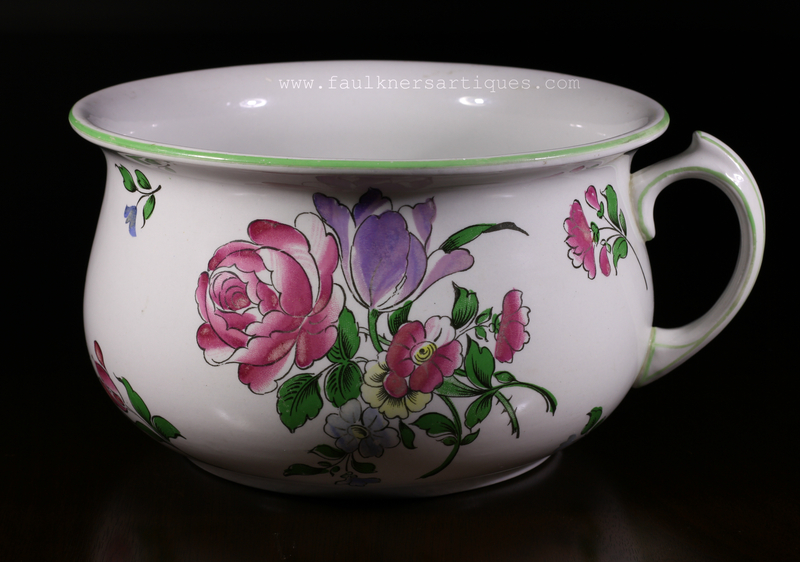 The pot has a beautiful simplicity to it and is a great find for both teapot collector or British art deco enthusiast. 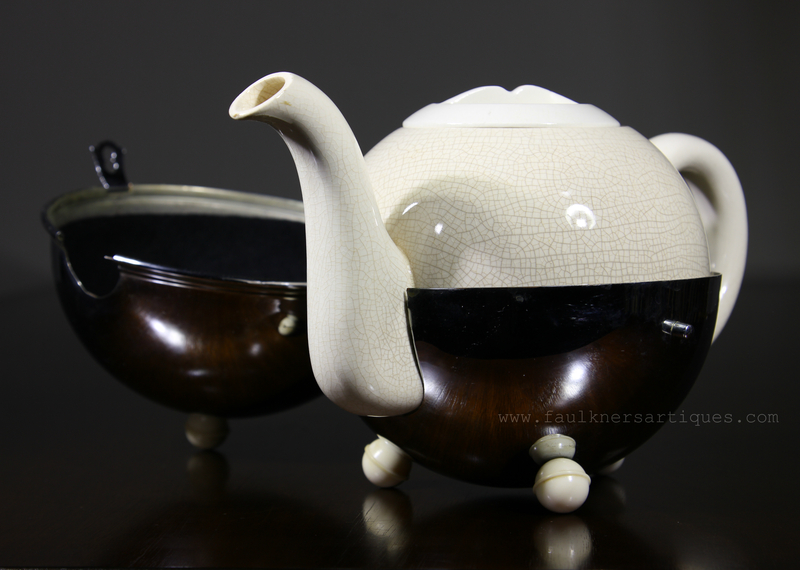 The ceramic has the typical crazing on the glaze as would be expected with an authentic item of this age and has ‘Made in England’ embossed on the bottom. There is a very small chip on the rim of the spout. The cover is in excellent condition and the clasp is perfect.